Only one fighter can go on the road of knowledge. Because his art lies in finding a balance between the distress of the man and the wonder of being human. With over 18 years experience in IT&C, i worked in almost all departments of it. Starting from network cabling, hardware diagnostics and troubleshooting, switching to software troubleshooting for desktop and laptops, reaching to data recovery software, next I've been in the online business, creating different applications and websites, today having enough experience both as technical specialist, project management, help desk, seller, web developer and online marketing consultant. "I don't do to anyone what I wouldn't like to be done to me and I expect the same thing in return and I expect the same respect that I show." But enough with this discussion about the principles of my life, if you really want to know me, you can simply do it by watching my way of being and behaving. Searching for information about me on google or social networks would be just the first step. Below are a few preferred paragraphs. You should always choose a path with your heart, to reach the best possibilities you can and in this way you can always laugh about it. A fighter always chooses to follow a path with his heart. What makes a fighter different from a normal person is the pursuit of choosing a path with his heart. He knows that a path has a heart when he feels a great peace and pleasure walking throughout all its length. A warrior treats the world as an endless mystery and what people do, as an endless craziness. To be inaccessible does not mean hiding or being secretive. Does not mean that you can not talk to people. A fighter uses his world with economy and delicacy, whether the world means things, or plants, or animals or people, or power. A fighter has deep connections with his world and yet he is inaccessible to the same world. A fighter may be injured but not offended. Fighter's confidence is different from that of ordinary people. Ordinary man seeks certainty in the other's eyes and calls it self-confidence. The fighter seeks perfection in his own eyes and calls it simplicity. Ordinary man is usually connected to his fellowmen, while the fighter is bound only with himself. The fighter's joy comes from the fact that he has accepted his own fate and that he had well predicted all that may come. Being perfect is the only truly free action and that is why it is the true nature of fighter's spirit. You must develop the feeling that a fighter never needs anything. You have everything you need for the extravagant journey that is life. The true experience is being alive, life is the little detour you are doing now. Life itself is sufficient, self explaining and complete. A warrior understands this and lives accordingly, so you can say, without being arrogant, that the experience off all experiences is being a fighter. Programming community project, tutorials, forum. Presentation site for taxi company. Shop for sale sport equipments. Presentation site for pharmaceutical chemical laboratory. SQL Class for php language use to connect different type of sql database (mysql, sqlite, mssql) on same project. A personal project, hangman online game. Demo version of my e-commerce shop used on most of my clients. Demo version of my content management system (cms) used on most of my clients. Presentation site, now is down and replaced with this site. Real estate and land sales site. Real estate sales site in auction mode used by the former bank Volksbank. E-commerce site for flower sales, flowerpots and bouquets for different events. Presentation site for a taxi company. An online application for customer management, legal files, contracts, and employee hours monitoring and reporting. It can also issue tax documents, domestic or international. 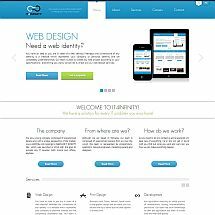 It is based on my CMS but with modules specific to this client's requirements. Used bicycle and sports equipment sales. Online store for selling organic products. Online store for selling products made from natural ingredients. Online store for clothes sale under the brand G. Bannor. Online store for pastry and bakery products. Below is a short list of some of the clients we've worked with. MultiBusiness is a Web application, modular, adaptable to any requirements. The application includes the following modules (this modules is translated on english language): authentication (login, logout, register, lost/change password, ban user, list users) access rights (acces group) cpanel content (add/edit/remove page) ai_bot (automatic protection from attacks) report (reporting page errors by the visitors) template (can add multiple interfaces and each user application to choose their own interface) contact page errors tracer (developers can see what happens behind the application and develop their own modules) Additional non-core modules, the application can be extended to the following modules (this modules is translated only on romanian language): agenda - an agenda (business contact) that includes save addresses and information about your customers (address, phone, tax data, email, other comments on each client) Exchange rate - automatically take over the day of the BCR site facturier - generating invoices, proforma, opinions accompanying the consignment, delivery available. Ability to print invoices or send them by email in pdf format. Can also generate accounting reports. receipt - generating tax receipts. Ability to print receipts or send them by email. Some article about web development, arduino, gaming... For now, is under development.